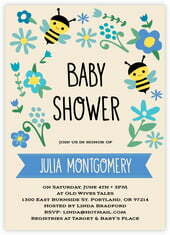 These baby shower invitations are adorable! 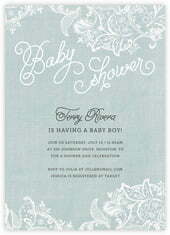 Our collection includes many that are just bubbling over with cuteness and interesting things going on in them, as well as others that are very simple, clean, classic designs. 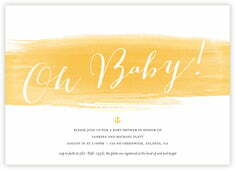 The invitations are filled with juicy, bright and yummy colors that are perfect for baby events. 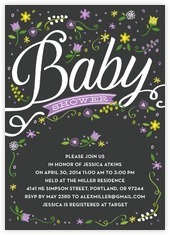 We are expanding our collection of baby shower designs all the time, so the style you choose today will likely not be the same one you choose in six months. 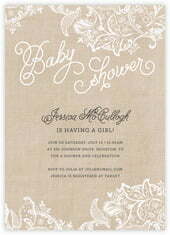 Shower the parents-to-be with the help of Evermine's exclusive collection of customizable baby shower invitations. Our invitation styles come in whimsical designs and colors that will charm your guests the moment they open the envelope. 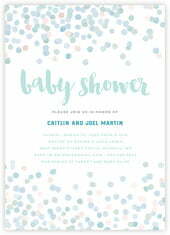 Select the Baby Shower Invitation style that best suits your shower theme, and then choose your quantity, invitation color, and signature matte paper preference. 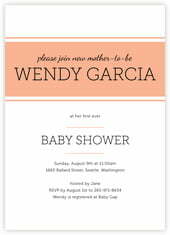 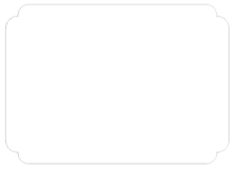 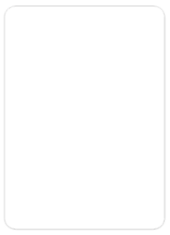 Replace the sample text in our wording template with the details of the baby shower. 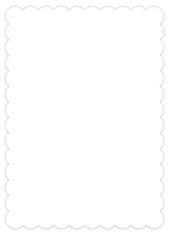 Choose whether or not you'd like to add free return address printing on your complimentary envelopes, and confirm your order! 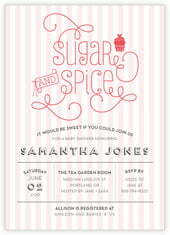 Want to create a custom baby shower invitation that's 100% your own design? 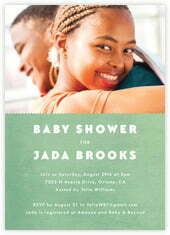 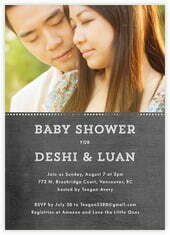 Select our Custom Baby Shower Invitation style to upload your own photo or artwork. 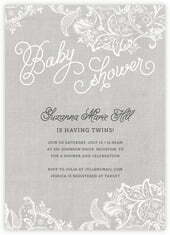 Send out the invitations for the baby shower at least six weeks in advance so guests have plenty of time to prepare for the festivities. 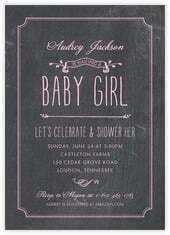 Visit the Evermine Blog for more baby shower invitation ideas and inspiration. 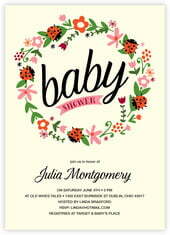 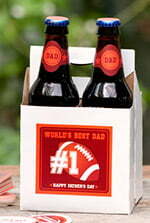 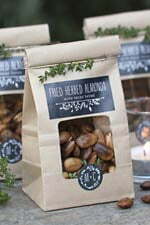 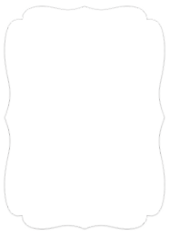 And don't forget to check out our baby labels, tags and coasters for baby shower decorations, treats, favors, and prizes!